If Bruce Springsteen could make bitterness and a loss of hope anthemic, he’d be writing songs like Nate Cook, the leader of Colorado trio the Yawpers. On the Yawpers‘ first full-length album, 2015’s American Man, Cook‘s songs are Americana in the truest sense of the word, full of rugged individualists and widescreen backdrops, but there’s a lot of cynicism and defeat in his perspective on American life, and even when his characters confidently declare they want to get away, the weariness audible in the edges of Cook‘s performances suggests they have a small chance of ever crossing the border into anything better. But Cook spins his tales with passion, force, and unpretentious smarts, and the band explodes like a string of firecrackers, with Cook and Jesse Parmet wailing hard on acoustic guitars that have been cranked up loud enough to send their sound into neighboring states, and drummer Noah Shomberg beating out the rhythms with a lean but unrelenting ferocity. The Yawpers have taken the elements that built rock & roll in the first place, primal blues and country, and reassembled them while hot-wiring them with a few lightning bolts’ worth of electricity, and the results sound by turns epic and feral, while Cook‘s vocals fuse a true believer’s hope with a realist’s knowledge that his questions don’t have simple answers. 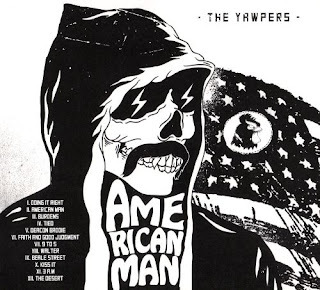 The Yawpers are one of the few bands that can sound unpretentiously intelligent while playing music that’s this raucous and elemental at the same time. If the Yawpers are trying to make sense of the soul of America in the 21st century, their mind/body balance makes for some powerfully satisfying music, and American Man is an impressive debut from a band that appears to have some very serious potential. To hear them tell it, the Record Company came together when three musician friends started hanging out once a week to drink beer and listen to vintage blues recordings they’d found at used record stores, swap meets, and the like. 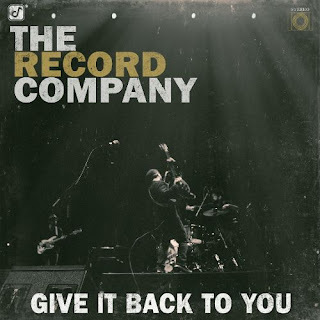 Judging from the group’s debut album, the guys in the Record Company probably have plenty of great stuff in their LP stacks; Give It Back to You boasts a casual but muscular tone that’s part Southern groove (think Jimmy Reed and Slim Harpo) and part Chess Records bite (Muddy Waters, Little Walter, Bo Diddley), with a dash of the Black Keys‘ rootsy modernism thrown in for good measure. The Record Company know good music from bad, and they have chops to go along with their taste — Chris Vos‘ guitar work is strong and well focused, while his voice is well suited to the material, and bassist Alex Stiff and drummer Marc Cazorla are an admirably tight and hard-grooving rhythm section who know how to make this kind of music move. However, one thing that separates the Record Company from their influences is their songwriting — while there are a few gems here like the moody “This Crooked City” and the lean and funky “Off the Ground,” there seem to be more clichés than inspired moments in this batch of tunes, and for a band that seems to be striving for a raw and retro sound, Give It Back to You never sounds as dirty or sweaty as it needs to be. Ultimately, this album makes the Record Company sound like guys who learned all they know about the blues from records, and while they’re said to be a powerful live act, they need to bring more of that passion and fire into the studio when they make their second album. 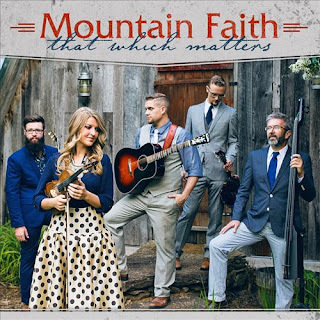 Willis, VA — Mountain Fever Records is proud to announce the release of the brand new album from International Bluegrass Music Association’s (IBMA) Emerging Artist of the Year nominee, Mountain Faith. That Which Matters is available everywhere today! Although the band has been performing together since 2000, it’s only been in the last few years that the music industry has begun taking note of the talented ensemble. 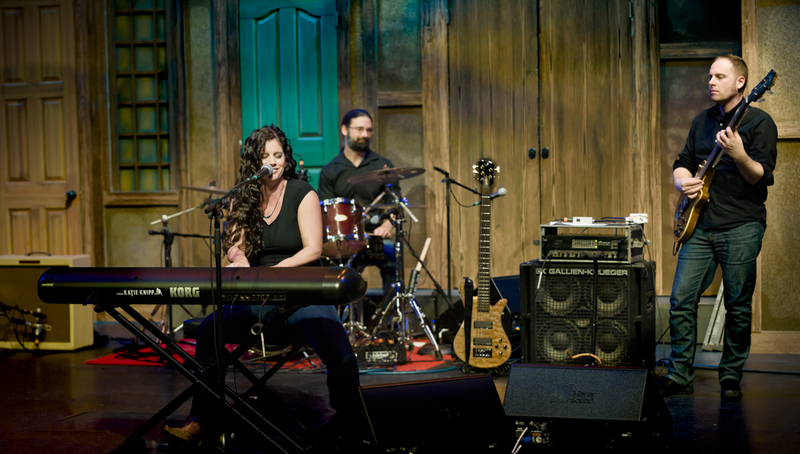 In fact, earlier this month, Summer was awarded the IBMA’s Momentum Award in the Vocalist category. While bluegrass fans may have been on the Mountain Faith “bandwagon” for a few years now, the rest of the country began taking notice of the family band through regular appearances as contestants on NBC television’s popular show, America’s Got Talent, making it through to the semi-finals in New York City. Band members include Sam McMahan on bass, Luke Dotson on guitar along with lead and harmony vocals, new member Cory Piatt on mandolin, Summer McMahan on fiddle along with lead and harmony vocals, and Brayden McMahan on banjo and harmony vocals. 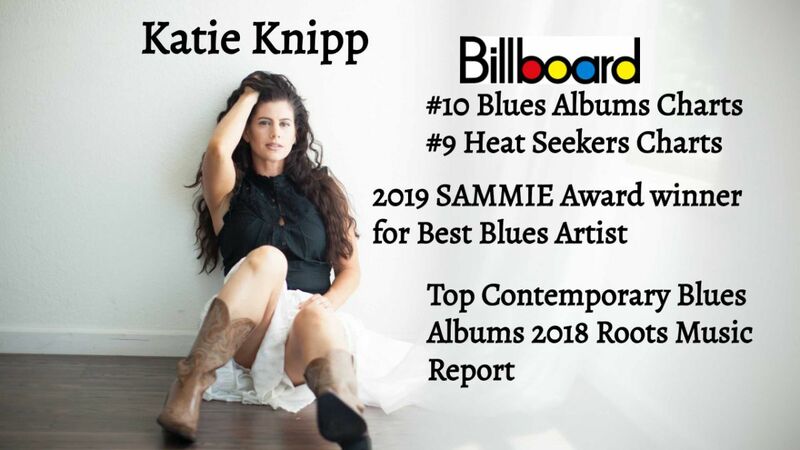 Summer’s strong vocals are a hallmark of the band, putting her squarely in the middle of some of today’s powerhouse young female bluegrass vocalists on the rise. 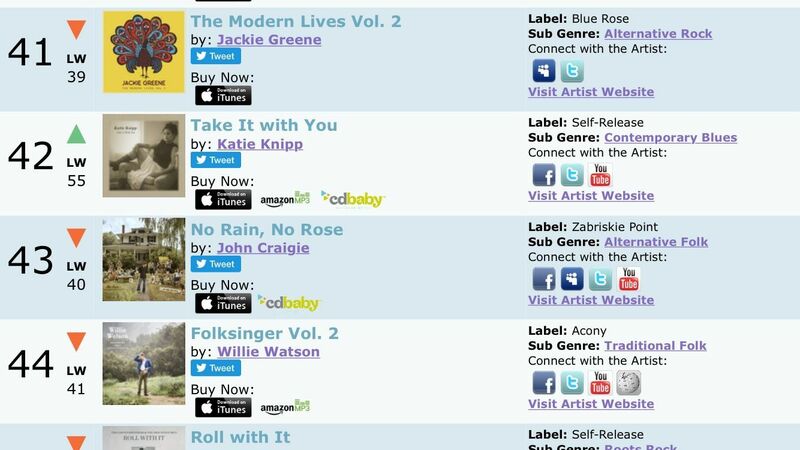 That Which Matters has already drawn excellent reviews from radio and media. 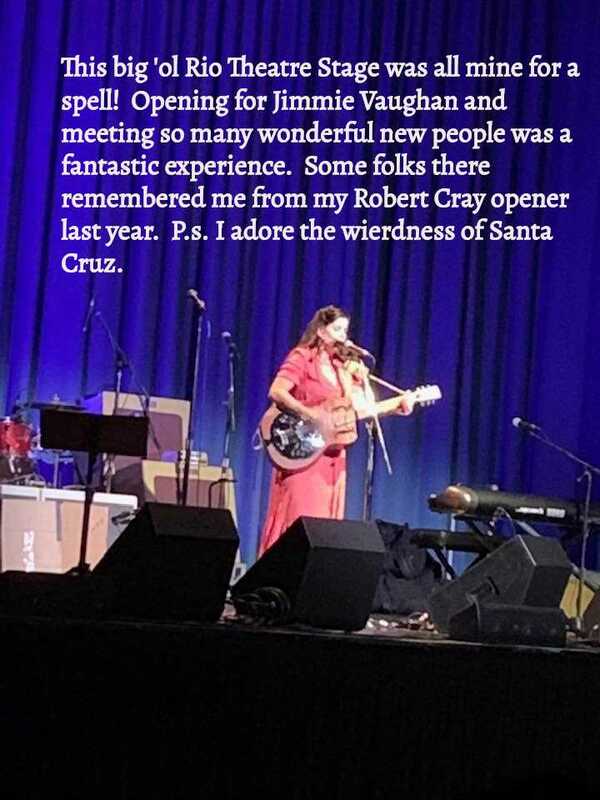 The first single, “Emily (It’s Love)” was released earlier this year and John Lawless said, “…here Summer McMahan sings it solo with a slurry, slippery style that is very modern while remaining true to her bluegrass roots. 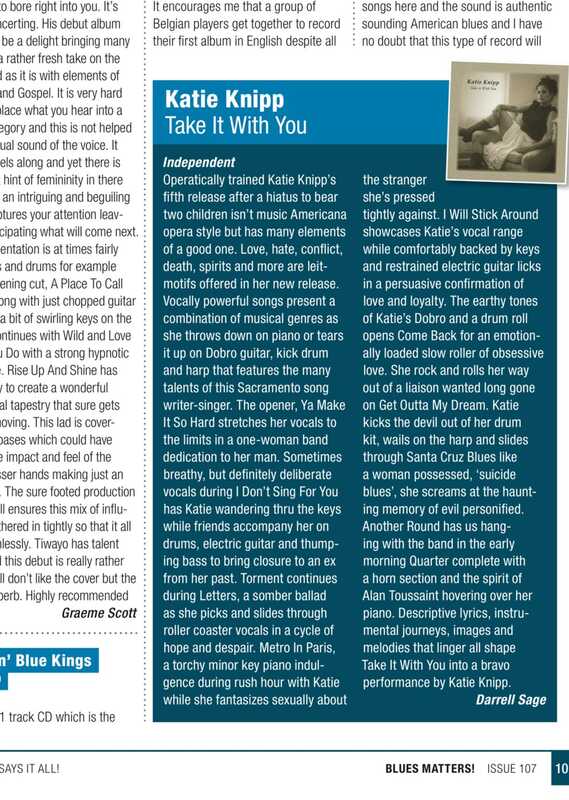 Simply brilliant.” The same could be said about every track on this positive, gospel-tinged project. 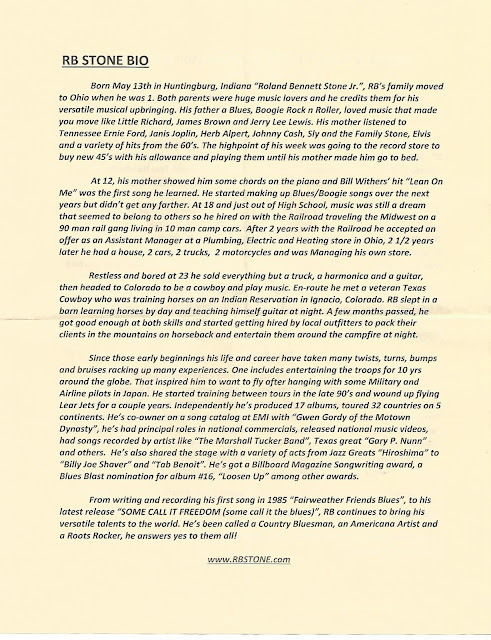 The album showcases the vocal talents of the entire band with Summer singing most all the lead vocals supported by beautiful, almost haunting in places, harmony vocals. 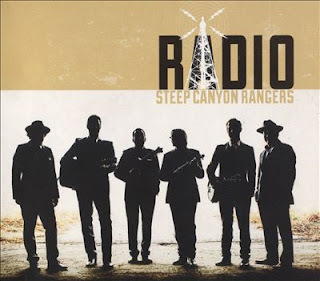 There are plenty of hot licks and high lonesome harmonies to make this a favorite among bluegrass fans while the song selection is carefully thought out with the lead track, “Someone Prayed” setting the tone for a listening experience full of songs of hope, love, celebration and praise. And even though it would be tough to choose just one favorite, the closing track, “There Is A God” is surely a top contender. The Steep Canyon Rangers have spent much of their career walking a fine line between traditional bluegrass and acoustic music with a strong contemporary pop and country influence, and they’ve blurred the lines between the two sides of their musical personality more than ever before on 2015’s Radio. 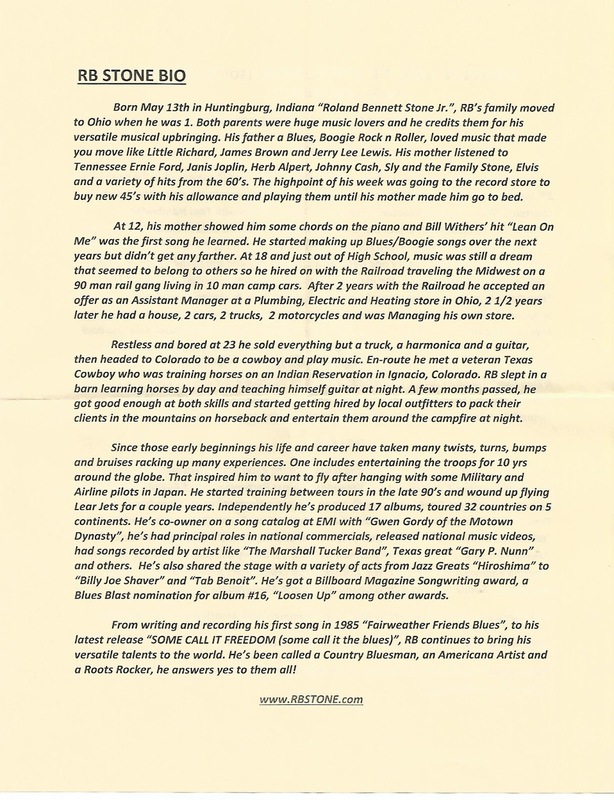 One of the key differences on Radio is the addition of a sixth Ranger, percussionist Mike Ashworth, and even though his kit primarily consists of just a box played with brushes, his steady pulse subtly but clearly points to the melodic hooks in numbers like “Simple Is Me,” “Blow Me Away,” “Long Summer,” and the title tune, and without having to plug into an amp, the Rangers set themselves apart from bluegrass acts who prefer to pretend it’s still the early ’50s. At the same time, these musicians are remarkably skilled, both as individuals and as an ensemble, and when they do dig into their bluegrass roots, they do so with a clear love and respect for the form, and with “Blue Velvet Rain,” “Looking Glass,” and “When the Well Runs Dry” they show just how fresh they can sound while working within a tried-and-true framework. It’s a thrill to hear a band this good playing together, and Ashworth, Mike Guggino (mandolin), Charles R. Humphrey III (bass), Woody Platt (guitar), Nicky Sanders (fiddle), and Graham Sharp (banjo) are as gifted as any young band in bluegrass, with each member earning his stripes when stepping up for a solo, and coming together with outstanding ensemble work and spot-on harmonies. Produced by Jerry Douglas, who captures the group’s musical interplay beautifully and contributes some fine Dobro work as well, Radio is an outstanding album from one of the most exciting new bands in bluegrass, and if you know them best for their work with a certain talented banjo-playing comedian and actor, you owe it to yourself to find out how much they can do on their own. The Reverend Peyton’s Big Damn Band release their fifth album, So Delicious, on a revitalized Yazoo Records via Shanachie. Yazoo is a storied blues label and it’s a good fit for the Reverend Peyton’s Big Damn Band, a trio from the backwoods of Indiana whose members desperately wish they hailed from the Delta. Such geographical displacement has a long history in American music — in the back half of the 20th century, John Fogerty‘s swamp rock from San Francisco might be the best known — so Peyton and his crew don’t feel like charlatans: they’re Americans who like to live in their ideal fantasy world. The funny thing about So Delicious is that for showing up on a blues label, it can rock pretty hard, something the clattering opening “Let’s Jump a Train” makes plain, but the Big Damn Band aren’t the Black Keys; they don’t pump up and amplify their blues for arenas, but are happy to sit on a front porch during a hot Sunday afternoon. That’s an intimate situation and, appropriately, the group slides some sweetness onto So Delicious, such as the gentle “Scream at the Night” and the ode to family “Pickin Pawpaws” (also quiet is the spectral solo slide guitar of “You’re Not Rich,” but that haunts instead of comforts). Still, the operative order of this record is a bit of full-tilt boogie and good times, an album that acknowledges there’s nothing finer than pot roast and kisses from the one you love. 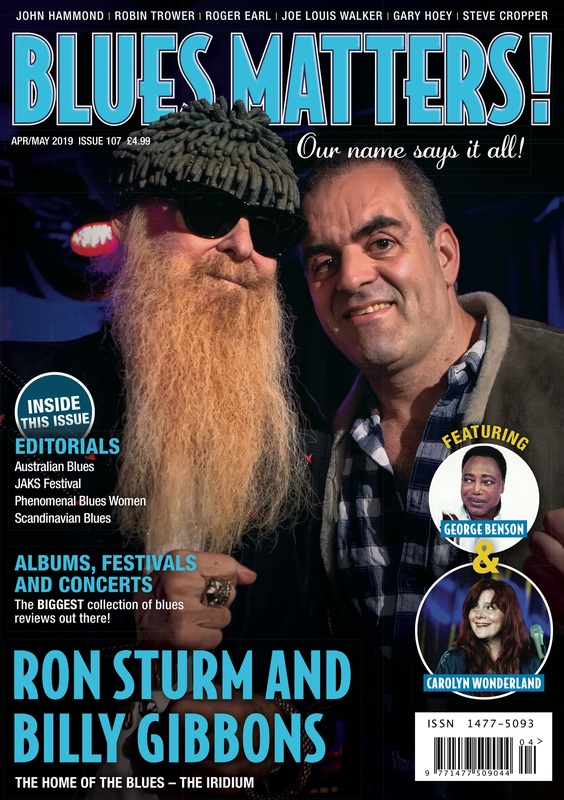 In other words, this is big, burly blues whose heart belongs at home.